Charoset is a mixture of fruits and other foods that is a traditional staple of the Seder meal. Different cultures, families and communities prepare their charoset differently. 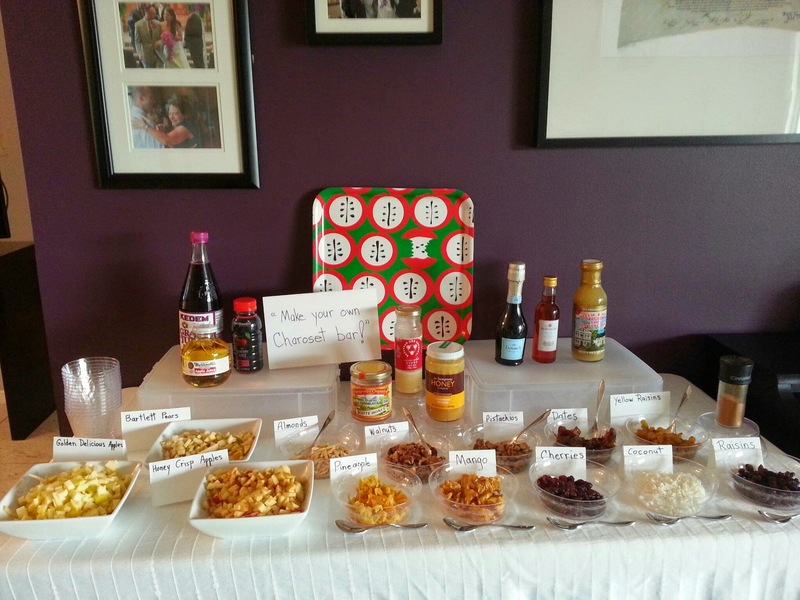 By providing a variety of ingredients, the make-your-own charoset bar can be used in a classroom or at a seder to encourages each participant to make it in a way that reflects their tradition, or allows them to experiment in a fun and playful way. A variety of diced fruits (dried and fresh), nuts, juices, honeys and spices, labeled and displayed. Small dishes and spoons for each participant so that they can prepare their own charoset. Consider having all the participants in this activity independently research charoset- the internet is full of recipes, customs and information. Invite participants to each take a small, empty dish and fill it with a variety of the charoset bar toppings. Ideally, the ingredients will be allowed to 'marinate' together before they are eaten. Participants should take turns filling their dish with the ingredients in ratios of their choice (consider supplying extra dishes, in case some participants wish to make more than one batch). 49: Let My People Go! 54: No Matzoh for Me! 97: What do You See on Pesach? 25: A Documentary: Matzo-What's Up With It?